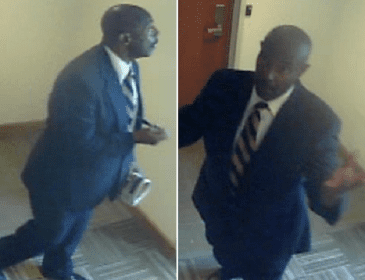 On August 22, 2017, Police in Baltimore County released surveillance photos of a suspect connected to several burglaries throughout the Baltimore County area, mainly within the White Marsh and Cockeysville precincts, including a nursing home, a construction company, medical offices, insurance company offices, and one elementary school. Media coverage resulted in detectives receiving information leading to the identification and arrest of the suspect. Richard Leroy Pierce, 63, of Brooklyn Park, has been charged with seven counts of second-degree burglary, five counts of theft between $1,000 to $10,000, two counts of theft under $1,000, and one count of fourth-degree burglary. Pierce is currently being held without bail at the Baltimore County Detention Center.